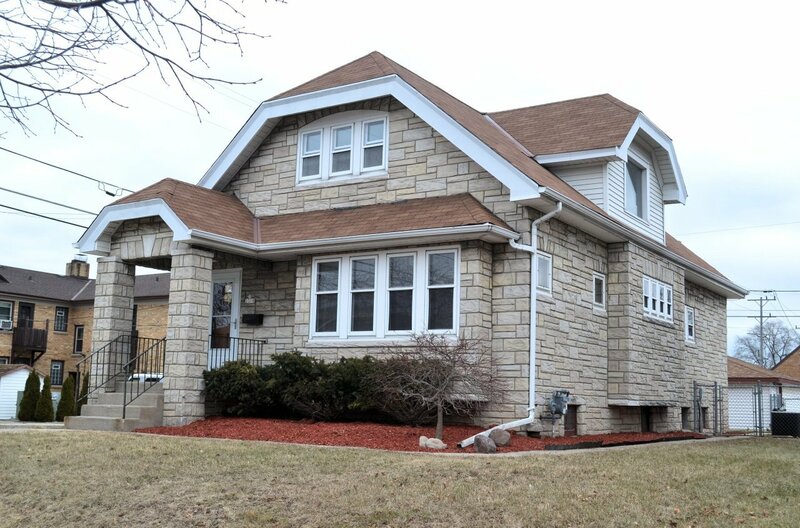 Newly remodeled 4 BR Milwaukee bungalow. Beautiful large eat-in kitchen w/travertine backsplash, granite countertops & stainless steel hood over range. New stainless steel appliances including dishwasher. Large living room w/built-ins & 55 inch TV inc'd. Built-in buffet in dining room. Newly tiled 1st floor bathroom w/new vanity, mirror, toilet & glass shower doors w/shower over tub. Two first floor BRS, MBR w/built-in wardrobe. Nice size closet in 2nd BR. Second floor has 2 large BRS & den. New fixtures. Very nice basement, newly carpeted. Remodeled bathroom w/shower. Laundry room w/newer stainless steel front loading washer/dryer. 2.5 car GA w/EDO & extra parking slab. Fenced yard. Less than 5 minutes to freeway, grocery stores, gas station, post office. Yes, it is as great as it sounds.